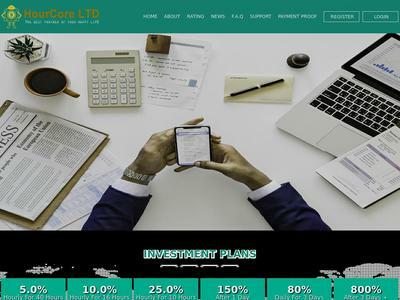 HOURCORE LTD is a private, legally registered online investment company with the goal of earning the greatest profit possible from Cryptocurrency market. We have a team of experienced traders, financial analysts, and risk managers who have been working in this field for over 5 years. The amount of 5 USD has been withdrawn from your account. Accounts: U4222871->U16137352. Memo: Shopping Cart Payment. Deposit to HOURCORE LTD User nelomota.. Date: 15:30 13.03.19. Batch: 250627010. The amount of 0.72 USD has been deposited to your account. Accounts: U16137352->U4222871. Memo: API Payment. Withdraw to nelomota from HOURCORE LTD.. Date: 17:18 13.03.19. Batch: 250644727. 14.03.19 06:28 Transfer Sent Payment: 60.00 USD to account U16137352 from U1294xxx. Batch: 250712777. Memo: Shopping Cart Payment. Deposit to HOURCORE LTD User allhyips. The amount of 6.57 USD has been deposited to your account. Accounts: U16137352->U2631114. Memo: API Payment. Withdraw to MYINVESTBLOGER from HOURCORE LTD.. Date: 06:24 14.03.19. Batch: 250712019. The amount of 2.2 USD has been deposited to your account. Accounts: U16137352->U4222871. Memo: API Payment. Withdraw to nelomota from HOURCORE LTD.. Date: 09:21 14.03.19. Batch: 250737686. Memo: API Payment. Withdraw to List4Hyip_com from HOURCORE LTD. The amount of 3 USD has been deposited to your account. Accounts: U16137352->U1211691. Memo: API Payment. Withdraw to hyipparty from HOURCORE LTD.. Date: 14:36 13.03.19. Batch: 250615428. The amount of 3 USD has been deposited to your account. Accounts: U16137352->U1187273. Memo: API Payment. Withdraw to ishprash from HOURCORE LTD.. Date: 04:57 14.03.19. Batch: 250703186.